Axxis are very much an acquired taste, and I have to say I totally love them. The band fully vindicated my belief in them when I brought them over to open the Sunday of the final Firefest back in 2014, where they blew many people away with their hard-riffing, catchy Melodic Hard Rock. However, even for me, the band can be a little hit-and-miss regarding their albums. I truly adored the first two albums, but 'Voodoo Vibes'? WTF? I loved 'Kingdom Of The Night II' (white edition) so much it was my Album Of The Year, but the more experimental black edition? No thanks! Last year's 'Retrolution' didn't really grab me either, so I had no idea what to expect from upcoming release 'Monster Hero'. 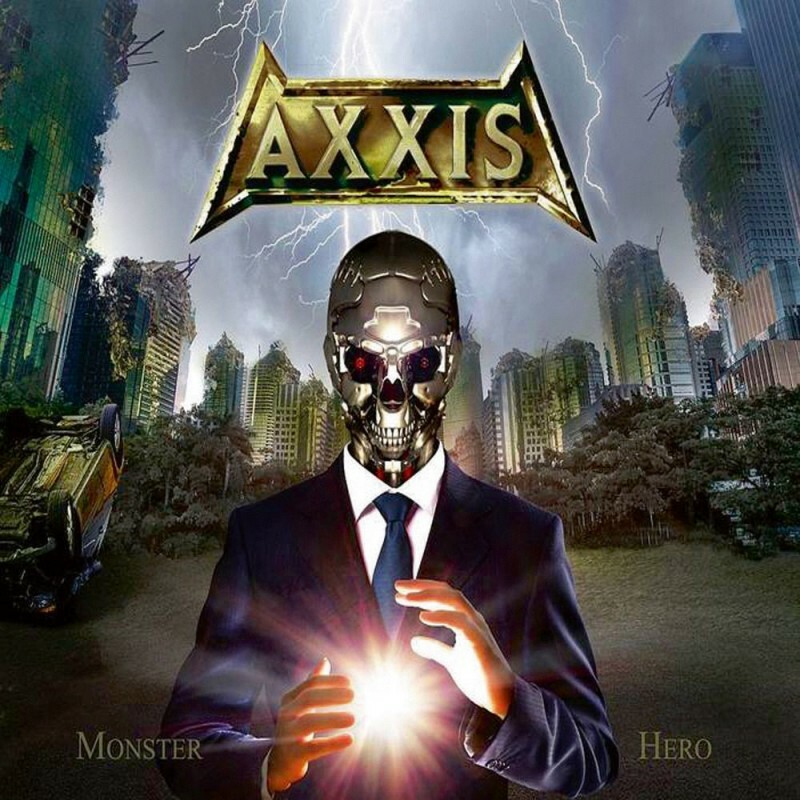 Well, rest easy, because what we have here is prime-time Axxis with wall-to-wall riffs, fuelled by power and energy with more melody than you can shake a very large stick at, all topped off by Stefan Weber's deliciously sumptuous guitar solos. Of the nine tracks I heard, not one was a ballad, with the riffs, hooks and melodies seemingly never-ending. 'Firebird' comes across like Deep Purple à la 'Speed King', including very tasteful Hammond backing, while 'Glory Of The Brave' is classic Axxis – driving, urgent, rampant and with a great solo. 'We Are Seven' is simply magnificent, while 'All I Want Is Rock' nods a head to AC/DC, even including the line "feel like I'm cruising on the highway to Hell". Sure, the lyrics may be cheesy at times, but that's part of the charm. 'Love Is Gonna Get You Killed' is the most restrained track, but wonderfully melodic with Weber's solo reminding me of 'Baby Blue' by Santers, which is no bad thing. 'Make Me Fight' is "Riff City", with a massive production and layered harmonies, while the title track feels not a million miles away from Lordi. The bonus songs are simply different mixes of two album tracks, which seems a bit disappointing considering the quality up till this point, but never mind, Axxis have produced another winner and one that will be high on my Albums Of The Year once again.